U.S. President Donald Trump said Thursday the United States would impose significant sanctions on Turkey over its detention of American Christian pastor Andrew Brunson and called on Ankara to immediately release him. 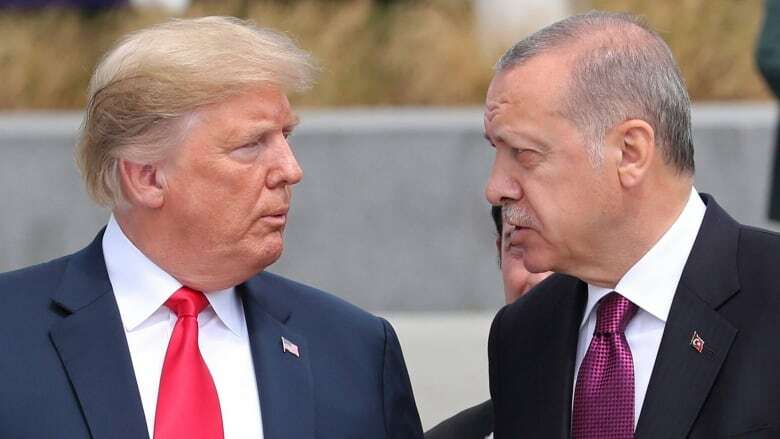 U.S. President Donald Trump said Thursday the United States would impose significant sanctions on Turkey over its detention of American Christian pastor Andrew Brunson and called on Ankara to immediately release him in the latest squabble between NATO allies. "The United States will impose large sanctions on Turkey for their longtime detainment of Pastor Andrew Brunson, a great Christian, family man and wonderful human being. He is suffering greatly. This innocent man of faith should be released immediately!" Trump tweeted. On Wednesday, a court in Turkey ruled that Brunson, who has been detained for 21 months, should be transferred to house arrest. Brunson, who is from North Carolina and has worked in Turkey for more than 20 years, has been accused of helping the Gulen group that Ankara says was behind a failed military coup in 2016. He has denied the charges but faces up to 35 years in jail, if found guilty. U.S. Vice-President Mike Pence issued a similar statement shortly before Trump's tweet. 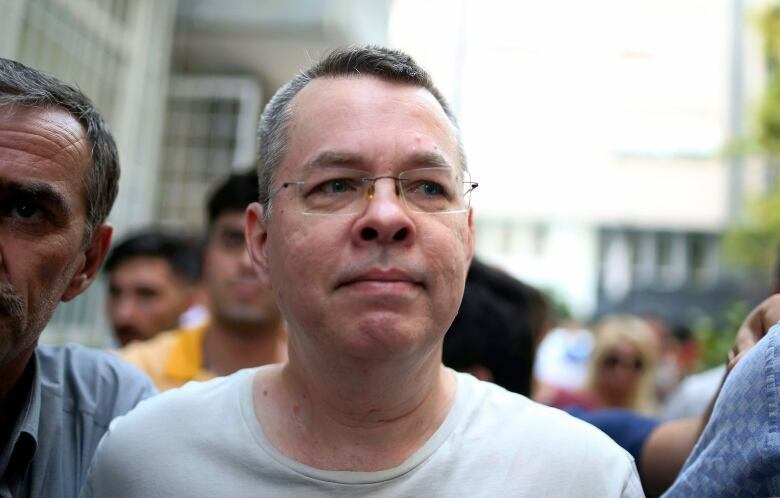 "To President Erdogan and the Turkish government, I have a message on behalf of the president of the United States of America: Release Pastor Andrew Brunson now or be prepared to face the consequences. "If Turkey does not take immediate action to free this innocent man of faith and send him home to America, the United States will impose significant sanctions on Turkey until Pastor Andrew Brunson is free," Pence said at an event hosted by the U.S. State Department. A spokesperson for Turkish President Tayyip Erdogan responded about two hours after Trump's tweet, indicating it wouldn't have the desired effect. "The United States must reconsider its approach and adopt a constructive position before inflicting further damage to its own interests and its alliance with Turkey," Ibrahim Kalin said in a written statement. Mevlut Cavusoglu, Erdogan's foreign minister, also appeared to be responding to the U.S. with a post on social media. "No one dictates Turkey. We will never tolerate threats for anybody. Rule of law is for everyone; no exception," Cavusoglu wrote on Twitter. Erdogan has said Turkey won't extradite anyone to the U.S. until it receives Fethullah Gulen, the cleric who has been living in Pennsylania. He was an ally of Erdogan's until a public falling-out in 2013 led the government to declare Gulen's network a terror group. Turkey has also been publicly critical of criminal prosecutions in the U.S. involving state-run Halkbank official Mehmet Hakan Atilla, as well as Reza Zarrab, a Turkish-Iranian gold trader. Charges against several Erdogan bodyguards and other men for involvement in a May 2017 brawl with protesters outside the Turkish ambassador's residence in Washington, D.C., meanwhile, were dropped in March. The conflicts over individual cases come as, more consequentially, the two countries clash over the war in Syria. Turkey has urged the U.S. to halt its support for Kurdish YPG fighters or risk confronting Turkish forces on the ground in Syria. Turkey considers the group linked to the Kurdistan Workers Party (PKK) it bans at home, with the Americans using the fighters in its efforts to root out Islamic State in Iraq and Syria (ISIS) militants. Erdogan has consolidated power in the 18 months since the coup through a disputed referendum and recent re-election, which, along with a close relationship with Russian President Vladimir Putin, has concerned NATO partners. Since the coup, the Turkish government has moved to purge or arrest thousands it believes were involved or sympathized with the Gulen movement, including people in the civil service, police forces, universities and media organizations.